In February 2017, three Palestinians were killed in a tunnel between Gaza and Sinai in similar circumstances. The men were killed after the Egyptian military pumped toxic gas into a tunnel they were repairing after Egyptian military blew it up. In January, the Egyptian military announced that it had destroyed 37 cross-border tunnels linking the Gaza Strip to Egypt’s Sinai Peninsula over the past year. The Egyptian military began cracking down on tunnels stretching from the Hamas-run coastal enclave into the restive peninsula since the country’s September 2013 military coup, which saw Muslim Brotherhood’s Mohammed Morsi ousted and imprisoned. Israel’s military has also been investing extensive efforts in locating cross-border tunnels from Gaza and has destroyed 15 terror tunnels which infiltrated into Israeli territory this past year, including one tunnel which stretched into both Israel and Egypt’s Sinai Peninsula near the Kerem Shalom crossing. 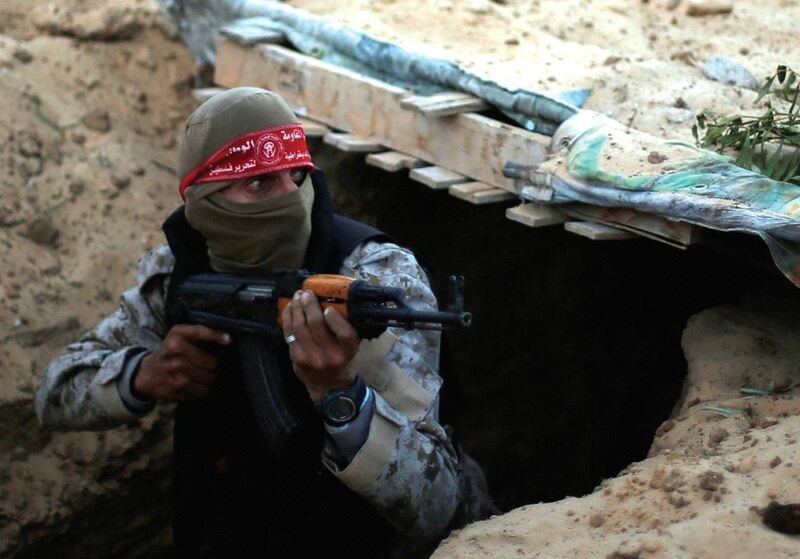 Israel denied claims the tunnel was used for smuggling, asserting Hamas intended to use it to bring terrorists and weapons from Egypt into the Gaza Strip for a possible future combined attack on the Kerem Shalom crossing from the Egyptian side. Israel has a 240-kilometer border with the restive Sinai Peninsula and Cairo, and in early January, Egyptian President Abdel Fattah al-Sisi said in an interview with CBS News that military cooperation between the two countries had reached unprecedented levels in the Sinai. Also on Sunday night, a mortar was launched toward Israel from the Strip during nighttime riots along the border fence, which saw Palestinians launching firecrackers and fireworks at IDF troops east of Jabalya in the northern Gaza Strip. The mortar, which was said to have been launched from east of the city of Deir al-Balah in the central Gaza Strip, landed inside the Strip next to the border fence. Meanwhile, a Palestinian man who attempted to swim into Israel from Gaza, was arrested by the navy after he crossed into Israeli water unarmed and transferred to the Shin Bet security services for further interrogation.